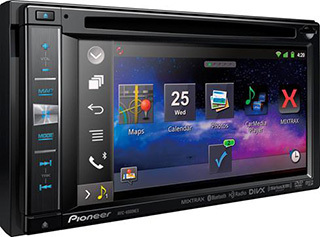 Pioneer's 2014 lineup of navigation receivers spotlights the NEX interface, which provides drivers with intuitive, responsive fingertip command of the action onscreen. They also offer a wealth of entertainment and integration options, including some impressive real-time, smartphone-connected navigation extras that are coming down the road. 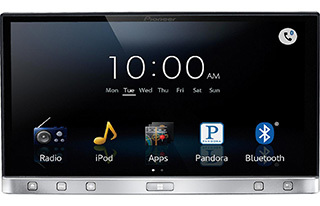 Pioneer's innovative AppRadio platform moves forward with their SPH-DA120 AppRadio 4 receiver. 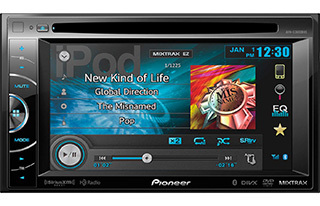 This versatile Pioneer builds upon the impressive capabilities of the AppRadio 3 receiver by adding some new features, including compatibility with Apple CarPlay, an improved graphical user interface (GUI) that makes it easier to access and use your apps, along with dual USB inputs, an auxiliary input, and a complete set of preamp outputs — front, rear, and subwoofer. Face it, you can't live without your smartphone and the apps that help make your life easier. 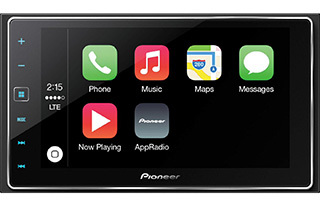 Pioneer's AppRadio 3 receiver lets you view those apps on its big 7” screen so it's easier to control them while you're on the road. You'll check out your favorite apps on a simplified menu that's designed for mobile use, so you can keep your eyes on the road instead of fumbling around with your phone. The AppRadio 3 works with iPhone® 4, 4S, and 5, as well as select Android™ models, so you can enjoy compatibility regardless of what platform you're into. 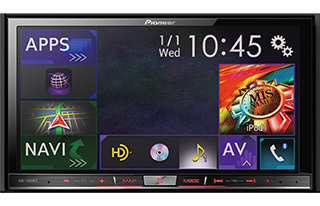 In order to enable all of these cool features offered by this Pioneer, you'll need to make sure that your smartphone's compatible with the AppRadio 3, and then pick out the right connection kit for your smartphone (sold separately). The AVH-X3600BHS will play your music, no matter what medium you prefer. You can connect your iPod or iPhone to the rear USB input and use the receiver's controls to access your playlists, while tools like Alphabet Search and Link Search get you to the song you want quickly. Android users aren't left out in the cold. If your Android phone supports the media transfer protocol (MTP), you'll be able to browse and play back the music that's stored on your phone, no extra app required. If you're a fan of streaming Internet radio, connect your iPhone to the receiver with an optional cable and take charge of your Pandora® account from the touchscreen, complete with thumbs-up and thumbs-down controls. And don't forget, you can also enjoy all your CDs, DVDs, discs full of MP3 or WMA music, or USB storage devices loaded with files. 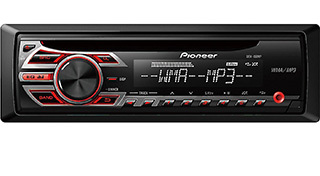 Pioneer's stamped their latest receivers with a sleek new look that's designed for user-friendly operation. The DEH-150MP CD receiver's a case in point, with a 12-character display that makes it easier to read song info from music files or the RDS information from your favorite radio stations. And underneath the skin, a simple, intuitive menu structure allows for quick sonic adjustments and song searches. Bluetooth enables hands-free calling and wireless audio streaming with control right on the receiver's display. Easily pair your phone without entering pin codes. Search for Artist, Albums, or playlist, or call any of your favorite contacts simply by using your voice. Got kids you need to keep entertained on that long drive? Keep them entertained by sending a variety of video sources to rear seat monitors. More Pioneer Products in our showroom in Franklin Square, NY! Click here to visit our contact page and speak with a specialist.